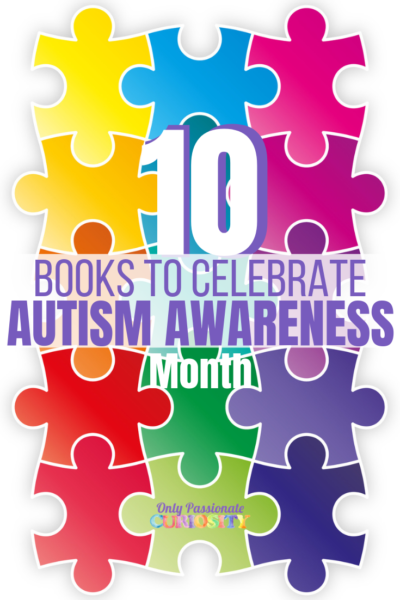 This is a sponsored post by Oak Meadow, one of our favorite curriculum companies! 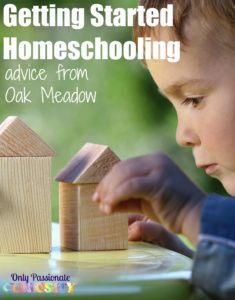 If you are a new homeschooler, I hope you take this post to heart- there are many right ways to homeschool and you need to find that is going to work for you and your home. 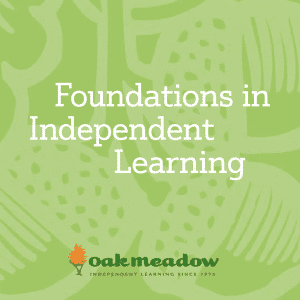 If you’d like more wonderful guidance, check out Foundations in Independent Learning. Some of the most common questions we hear from parents have at their heart a sense of worry that they won’t do it “right” or that they’ll leave something out or that their children will fall behind their school-educated peers. 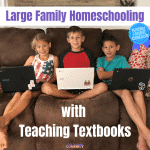 Luckily, these concerns usually fall by the wayside, dropped like petals from a daisy, one by one, as the wonder and work of homeschooling takes over their hearts and homes. 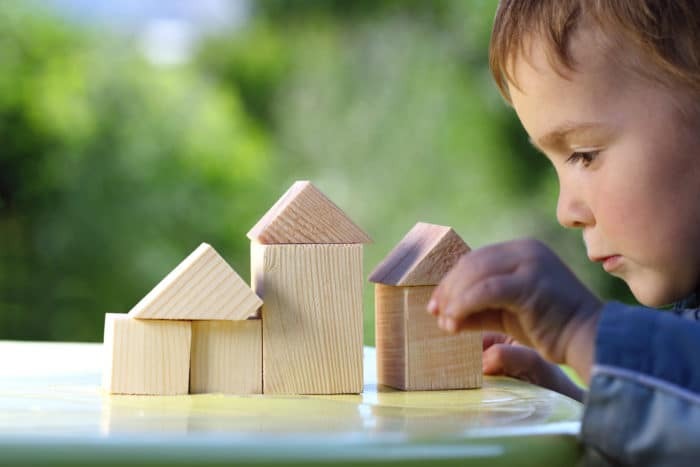 For parents just starting to consider homeschooling or those just starting out, it can help to keep in mind the big picture of learning as a life goal. If we can focus on the big pieces—the capacities we want to nurture in our children—it can help give us direction. What do want our children to learn? What abilities do they need to thrive in today’s world?  To think for themselves, and the ability to play with ideas and come up with new ways of applying knowledge.  To communicate ideas clearly, both logically and creatively, and to consider divergent viewpoints.  To learning by doing, experimenting, exploring, translating ideas into practical applications.  To cultivate a driving passion or a distinctive talent, and a combination of unique skills and interests. These big picture pieces are like guideposts for independent learners. They can also help highlight obstacles that might trip up an effective learning process. What can get in the way of effective independent learning? Trying to replicate the rigid schedule of school at home. 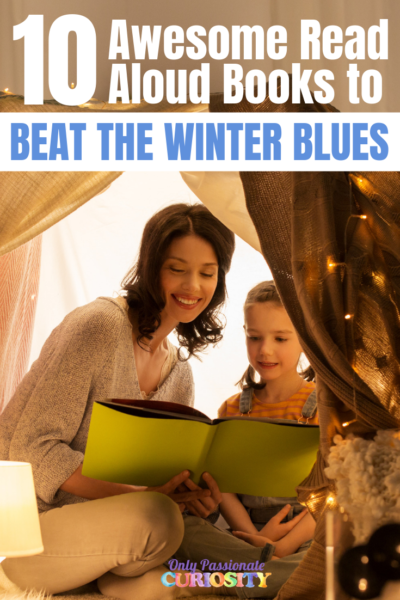 Rather than making kids switch subjects at a particular time (“It’s 11:00, time to stop writing and take out your math book”), let them come to a natural stopping point before moving on to the next thing. Learning has its own timetable. Help them find ways to organize their time so everything gets done in the course of the week with individual days varying based on interest, energy, and outside commitments and activities. Telling kids what to do and scheduling every part of the day. 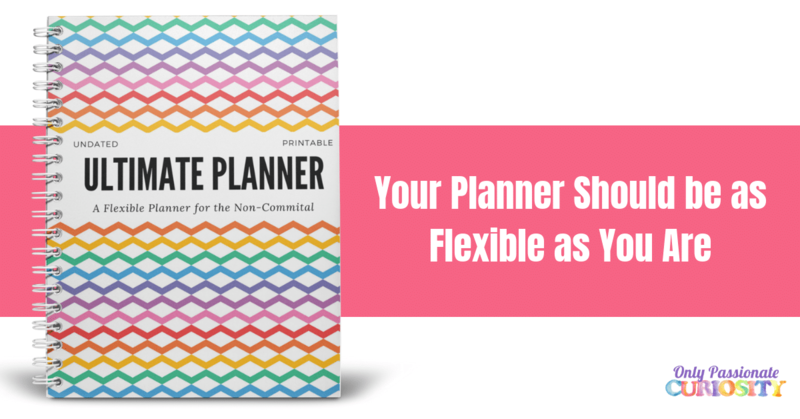 You might have a very good idea of a schedule that you think will work best. Discuss this with your children. Ask questions about what they’d like to work on for the day and what they need help with, and listen to what they say. Involve them in the planning of the day and the week. You’ll get more cooperation that way. Everyone likes to have a say in what they do. Focusing on competition and comparisons. Group learning often includes an atmosphere of competition, leading kids to judge themselves by comparing their work with others’. Learning at home frees you from this. Each student is unique! Each has signature strengths and challenges—capitalize on the strengths and support areas that are challenging. Let each child’s “uniqueness” be your focus. Help children gauge their progress on what they did last week and last month, not on what another child did. What if I forget something important? What if my children fall behind? Worries like these are common for homeschoolers, especially in the beginning. But ask yourself, “Are my children happy? Are they curious and active? Are they learning?” If the answers are “Yes!” you are probably doing fine. Using a set curriculum can help reassure you that you are covering all the bases, but many homeschoolers like to use an eclectic mix of resources and materials. If you feel those worries about “missing” something creeping in, try to switch your mindset. Again, keeping an eye on the big picture can help. Involves the whole child. Learning is part of life and should encompass every aspect of the child: critical thinking and intellectual development, reflection and empathy, communication and social skills, physical health and well-being, creative endeavors and imagination. Respects the natural development of children. The way we support and nurture our children changes as they grow. They need plenty of opportunities for imitation and wonder-filled exploration when they are young, strong social ties and time to develop skills when they are in the middle years, and dynamic challenges and real world experiences when they are teens. Incorporates a variety of learning experiences. Offering a variety of learning opportunities helps students not only learn in their preferred comfort zone but lets them try out new ways of learning. This builds strength and resiliency. How can I create an effective learning environment? There is no one “right” way to set up a home learning environment, and everyone does it differently. Above all, be prepared to change whatever you try first—you’ll learn as you go what works best for your family, and that is likely to change as your children grow. No matter what you plan for the day, it helps to be ready to let go and try something else. If things do not go according to plan, don’t worry! Just stop doing whatever it is you are doing, relax, reestablish the relationship between you and your child, and then decide whether you want to continue with the learning process, or move on to something else. As you reflect later on the experience, review in your mind the sequence of events and see where you might have done something differently. Then, let it go and get ready for the next day’s learning.  Clear your time and space. Minimize interruptions by putting away your phone and other devices while you are engaged in teaching. Let friends and neighbors know you are busy during certain hours.  Review the curriculum ahead of time. Gather the materials you’ll need for the day’s activities.  Keep a daily to-do list so you can let go of having to remember “all those things I must do.” This lets you focus on the task at hand.  Make sure students have a comfortable place to sit, where their feet can touch the floor (or rest on a footstool) and there is enough room for the writing arm to be supported by the writing surface.  If you have younger children, offer them a special activity of their own to do while you are teaching. Explain to them when it will be their turn with you.  Before you sit down with your student, take a minute to relax and center yourself on the work ahead. When you are focused and present, your child will sense it. Above all, remember that your relationship with your child is the most important element in the home learning dynamic. Nurture the relationship between student and teacher by staying alert to the needs of the student. If learning becomes a struggle, take a step back and see if there’s another way to come at it. Let go of the whole and focus on the underlying skill or content. Or you might need to let go of the details and focus on the overarching purpose of what you are doing. Sometimes you just have to take a breather, get a snack, or save it for another day. You don’t have to do everything at once. You don’t have to do everything the way it is written or the way someone else did it. Let yourself relax into the pace and rhythm of learning at home. Take a deep breath. Take a walk. Pick some daisies—and trust yourself to find your own independent learning style. For more guidance on finding your homeschooling rhythm, check out Foundations in Independent Learning.